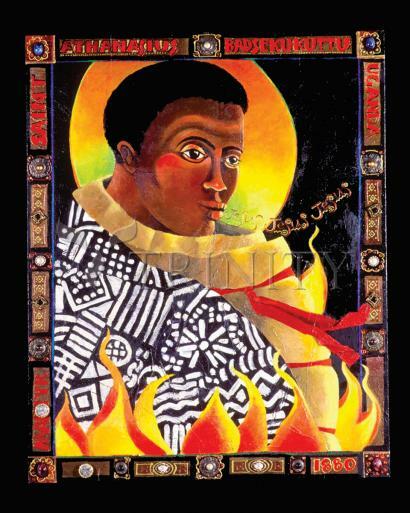 Athanasius was one of twenty-two young men martyred along with Charles Lwanga in Uganda on June 3, 1886. These heroic men refused to submit to the evil demands of a ruthless and anti-Christian king. Despite the horrible torture the king inflicted on them, the men vowed to remain Christian until death. As punishment for refusal to renounce their faith, the young men were wrapped in reed mats and thrown upon a raging fire. They died singing hymns of praise.